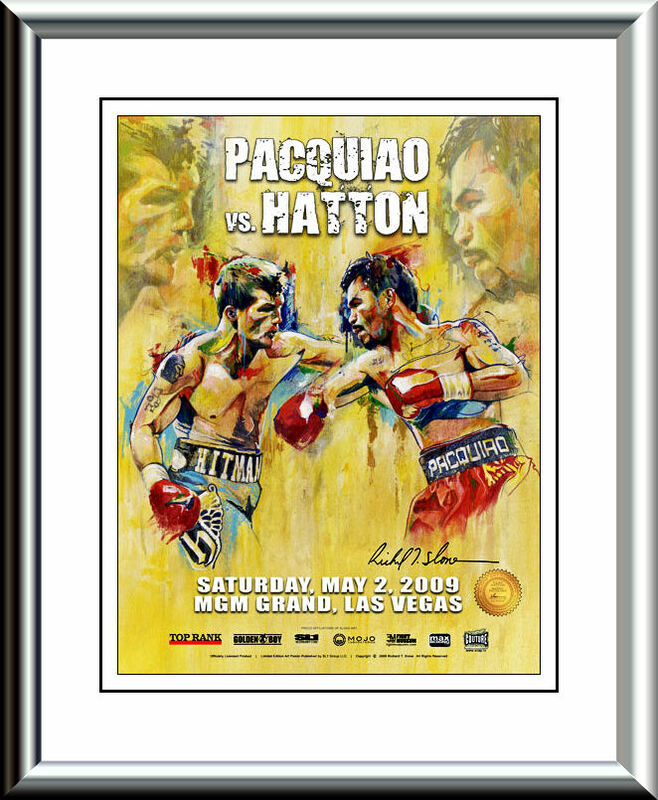 Description : Official Slone art limited edition MGM Grand commissioned onsite poster from the showdown at the MGM Grand Garden Arena in Las Vegas for the Lightwelterweight Title. 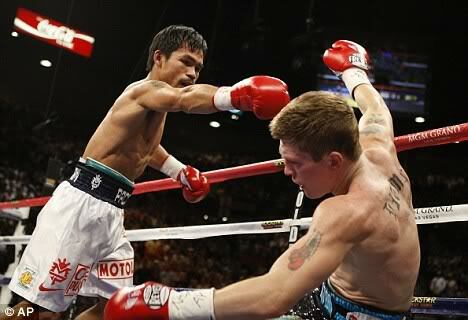 I fled the MGM Grand Garden Arena with the roar of celebrating Manny fans in full cry & all Ricky's yank fans jumped ship. 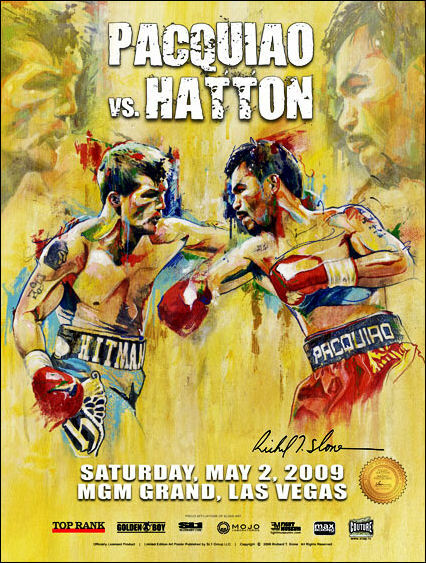 I, like the apostle Peter who denied Christ 3 times, I adopted an American accent as I just did not want to be identified as a Hatton fan, the Hatton fans were walking around in a dazed & confused state, not believing what they had just witnessed in the total destruction of their hero. Not for me that, Vegas fight night aftermath ai'nt the place to be when yer boy has just been wiped out!